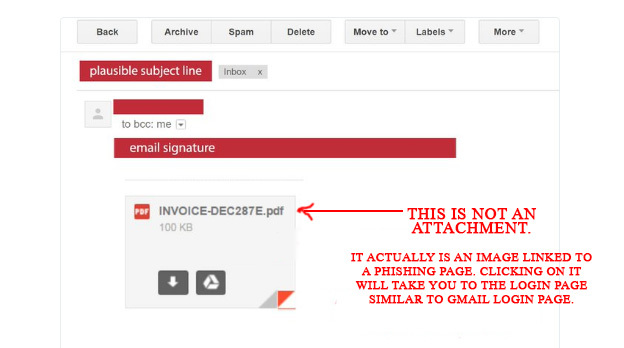 GMail Phishing scam – Becareful !! Scammers attach an image which looks like it is an attachment. When you click on it – it takes you to the scammers destination – to the phishing link. And if you ignore the login URL – you are DONE!! So, next time you are forwarded to any login page – double – triple check. You may find more about it in this link. Tagged Gmail phishing, Gmail Phishing Scam, Phishing, Phishing attack, Scam.